Note: This article was initially published on the site of the satirical publication The Really Independent Florida Crocodile on 10/22/15. It is satire, and is not meant to be taken as a serious news piece. 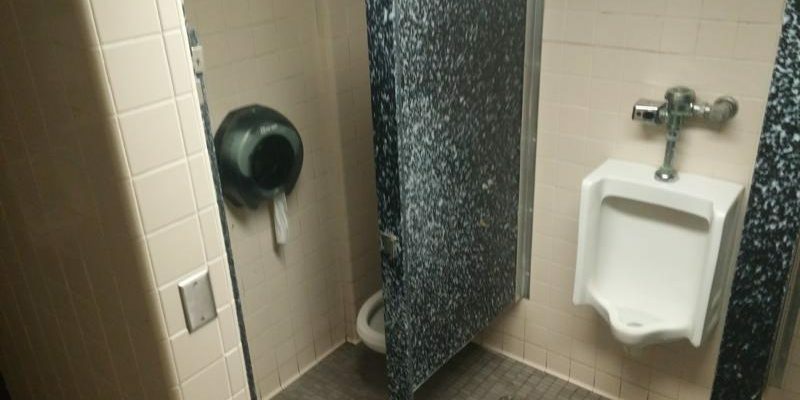 The Clean Restrooms Assessment Association of Alachua County has declared this week that they are naming the bathrooms of Little Hall at the University of Florida to be the cleanest in Alachua County. The association spent over a year testing every restroom in the county, public or private, according to a strict rubric which included criteria such as: amount of abnormally large insects, likeness of toilet paper to sandpaper and area of restroom floor that was a recognizable color. They came to their conclusion after much deliberation and anticipation. Students and faculty had mixed responses to this decision. Professors with offices in the building noted the frostbite that they had acquired by walking to the outdoor restrooms in winter. Professor Henrietta Weinberg of the Department of Restroom Architecture, was especially appalled by the decision, citing the hundreds of Palmetto Bugs she has encountered in the Little Hall women’s room. “Those palmetto bugs? Cleanest I’ve ever seen,” said freshman engineering student Brad Richards. Due to receiving the honor for 2015, Little Hall will no longer be eligible for the consideration in the coming years. However, CRAAC has indicated their intent to look into other campus favorites such as the stalls in the stadium, Keene-Flint Hall bathrooms and the toilets in the back of every RTS bus. They plan to begin the search for the 2016 winner as soon as the resources are available.